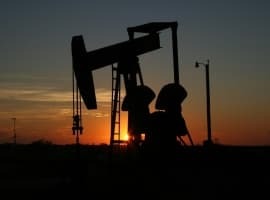 The International Energy Agency (IEA) said that the OPEC+ cuts that started this month likely put a floor beneath oil prices, but that it would still take time before the reductions could balance the oil market. 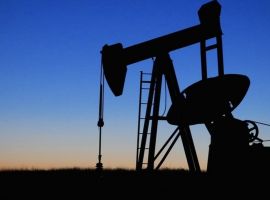 Oil prices fell over the course of December, even after the OPEC+ cuts were announced. That reflected pessimism over the trajectory of the global economy as well as fears that the oil market was about to head into another steep downturn not unlike the 2014-2016 bust. Those fears were exaggerated, at least as far as the oil market goes, but the production cuts will still take time to work through. OPEC released its Oil Market Report in recent days, which showed that the cartel slashed output by 750,000 bpd in December – sharp reductions that came before the deal even went into effect. Saudi Arabia led the way with 468,000 bpd in reductions, but its efforts were aided by the involuntary losses from Iran (-159,000 bpd), Libya (-172,000 bpd) and Venezuela (-33,000) bpd. In fact, those three countries have accounted for massive output reductions over the past two months. 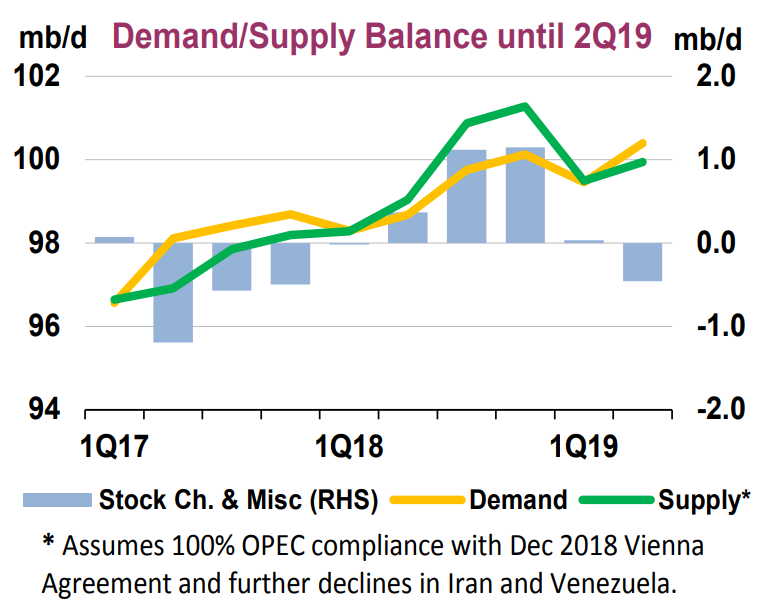 The OPEC+ deal is using October as a baseline, calling for 1.2 million barrels per day (mb/d) in reductions, and the group is well on their way thanks to turmoil in just a few countries. Over the course of November and December, Iran has lost 561,000 bpd, Libya has lost 190,000 bpd, and Venezuela’s output fell by 58,000 bpd. Taken together, the involuntary outages exceed 800,000 bpd. That makes Saudi Arabia’s job a lot easier, and the de facto leader of OPEC has pledged to cut its own output by 800,000 bpd from the October baseline. That means that the OPEC+ coalition is well on its way to balancing the oil market. Demand remains one of the key questions for 2019. This is the first report from the IEA since the severe market turmoil in December and the pricing meltdown. The agency left its demand growth forecast steady at 1.3 mb/d. While the “mood music in the global economy is not very cheerful,” the IEA said, lower prices and a weaker dollar have helped stoke demand a bit. As a result, low prices somewhat offset the softer economy. Finally, it’s a big year for the downstream sector. Refiners are gearing up for the global regulations on marine fuels from International Maritime Organization (IMO), which take effect on January 1, 2020. Knocking out dirty fuel oil from the global shipping fleet will lead to a surge in demand for middle distillates. Margins for diesel are already sharply higher than that for gasoline, and the more refiners chase diesel, the more they flood the gasoline market. At the same time, huge additions to the refining fleet are expected this year. “Processing capacity will increase by 2.6 mb/d, the biggest growth for four decades,” the IEA said. These changes could see major disruptions in various fuel markets, with a glut of gasoline occurring alongside a premium on diesel. “By the end of the year, all industry players, upstream and downstream, may feel as if they have run a marathon,” the IEA concluded.